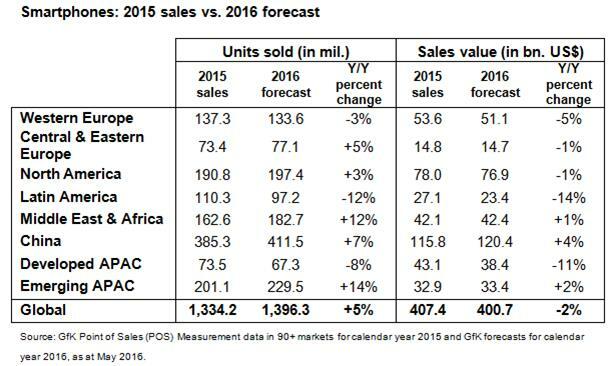 Market tracker GfK, which derives its data from point-of-sale terminals, reckons the smartphone market grew by 6% in Q1 2016. This conclusion is in stark contrast to analyst firm Strategy Analytics, which derives its data from vendor shipment numbers, and which concluded the market declined by three percent annually in the first quarter of this year. 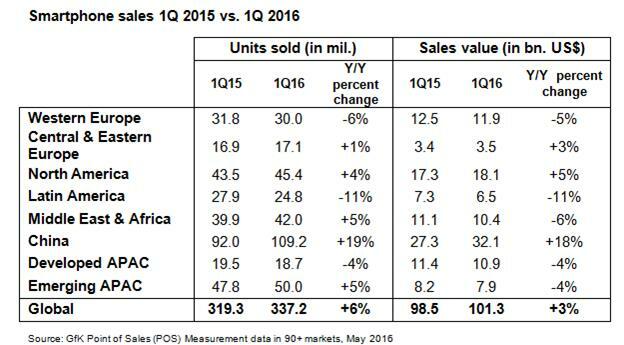 According to GfK many regions did decline, but growth was maintained largely by China, which sold 19% more smartphones in Q1 2016 than in the year-ago quarter, thanks to continued strong demand for 4G phones. Here are the data tables.